“In a flash” Niels Finsen had an answer before he asked the question. He had spent years learning the details that made his discovery possible. 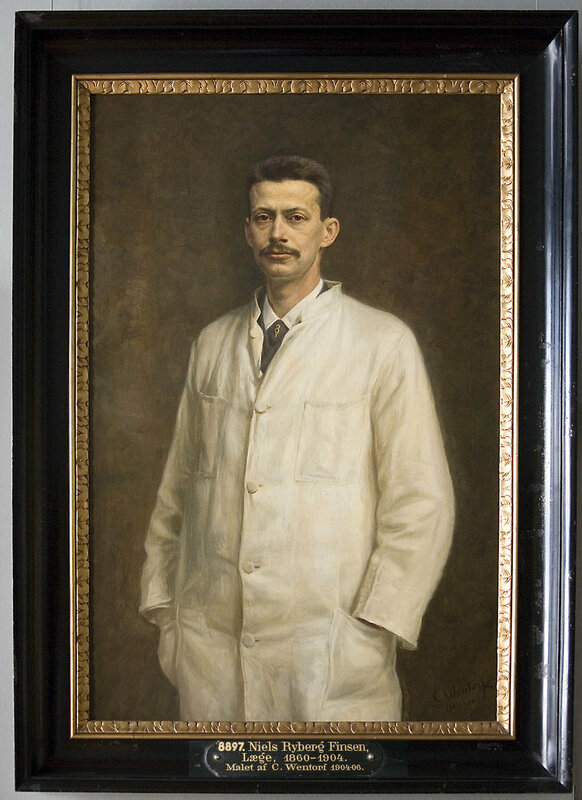 Niels Finsen was awarded a Nobel prize in 1903 for the use of blue light to relieve severe acne and for the exclusion of blue light to prevent scarring from smallpox. In the 1850s, raging debates focused on whether red light or blue light is "better". Among many experiments with colored light, Finsen studied the effects of different colors of light on earthworms. In a box with two filters, the worms moved away from the blue light to remain in the red light. He recognized that the skin was sensitive to different colors of light. This basic experiment helped prepare him for making his discovery.